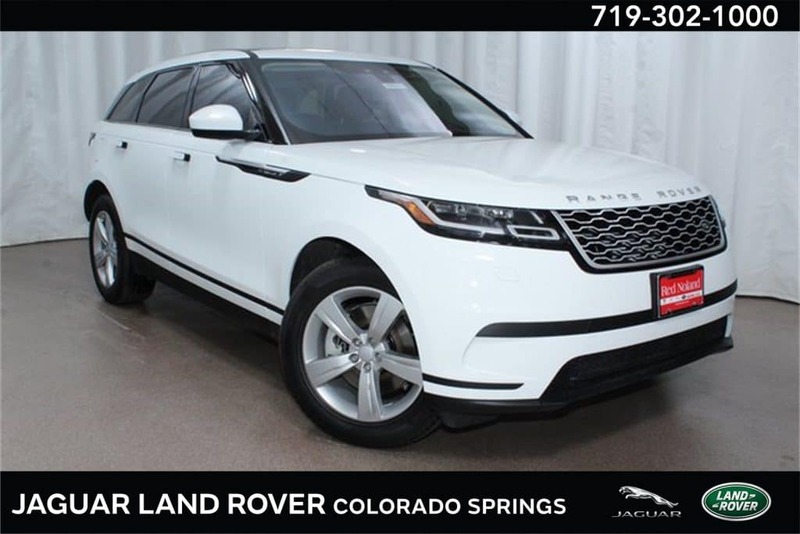 Save thousands on a 2018 Range Rover Velar at Land Rover Colorado Springs. Whether you choose a brand new model or one of our luxury courtesy loaners, you can expect a premium SUV with an array of features the whole family will love. Our courtesy loaners have been driven a little and you can save a lot with this amazing money-saving special. Priced over $13,600 below MSRP, this Certified Pre-Owned Range Rover Velar P380 S is priced to sell! Spoil yourself with a suite of luxury amenities including Interior Premium Textile Package, Rear Seat Convenience Pack, traffic sign recognition, blind spot monitor, suedecloth steering wheel, Drive Package, and much more! Save $4,000 on a brand new 2018 Range Rover Velar P380 SE R-Dynamic! This elegant SUV is loaded with features including premium 20-way heated and cooled front seats with memory and massage, Premium Interior Protection Pack, Rear Convenience Pack, front and rear parking sensors, towing equipment w/trailer sway control, power liftgate, panoramic sunroof with power sunshade, backup camera, and much more! View the entire selection of 2018 Range Rover Velars on special at Land Rover Colorado Springs. Contact us to purchase yours today!